McQueen Marketing is a boutique marketing firm that serves as the "marketing director" for select clients. Whether you are a medical organization, community bank or a small to mid-size firm, in today's economy hiring a full time, on-staff marketing director may not be a sound business decision. McQueen Marketing can provide a "big picture" approach to handle digital marketing, advertising and public relations on an out- sourced basis, providing your company with the capabilities of a seasoned, high caliber marketing executive without the expenditure of hiring a full time employee. Development of integrated marketing programs that make sound economic sense and the ability to achieve measurable results is the hallmark of McQueen Marketing. Our unique approach has resulted in securing clients and long-term business relationships, because we help our clients grow their business! Our marketing experience includes health care, banking, insurance, higher education, industrial, real estate developments and service organizations. 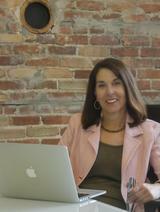 Mary brings over 20 years of experience in the account service, marketing management arena. Developing integrated marketing programs that include branding, advertising, public relations and media opportunities that achieve positive results have highlighted her career. Mary has worked with a varied client roster including: Oakbridge and Grasslands Golf & Country Club; Radiology Imaging Specialists; Wall Titus; Boring Business Systems; Bank of Central Florida; Heart of Florida Regional Medical Center; Bartow Regional Medical Center; Sessums Law Group; City of Lakeland Stormwater Division; The Ruthvens; FHS Florida Handing Systems; Stinson Design Center; as well as other clients throughout Central Florida. Mary has a strong commitment to community service and is an active participant on many boards. Her current and past service includes the Imperial Polk Advertising Federation Board Member and President, Florida Public Relations Association Board Member and Treasurer, Santa Fe Catholic High School Board of Trustees, Leadership Lakeland Alumni Board of Directors, Lakeland Volunteers in Medicine Board Member, and has been an active member of the Lakeland Area Chamber of Commerce Board of Directors and member since 1997 where she has served on the Catalyst Committee, Small Business of the Month Committee and Communications Advisory Committee. Mary has received the high honor of being Ad Woman of the Year, 1996-1997.